House composed of a hall, living room with kitchenette, fireplace, mezzanine large bedroom with double bed upstairs and a single bed on the ground floor, shower. 1km from Bourg. house located in a village in the countryside near the beaches of carnac, trinity / sea, erdeven. Perfect location & exeptional hostes. We were looking for somewhere to stay near Carnac that would allow us to explore the area by bike whist avoiding the very busy roads in the area. It was everything we had hoped for and more. With a hybrid/off-road bike you can reach the extensive cycle network; there's a path through the woods that leaves from the back garden. Our hosts were amazing ( add to the Christmas Card list good) attentive and welcoming without being intrusive, very keen to offer help and advise when needed. As well as cycling there are some lovely places in the area you can explore the scenery from the water and Serge not only showed us a good place to launch our inflatable kayak but introduced us to his cousin who owns the slipway we wanted to use. There are an almost unbelievable amount of dolmens and megaliths in the area and it is a real adventure exploring the area and finding the truly amazing sites many of which are totally open with no restrictions at all, making the price paid for some of the more popular sites seem more worthwhile as they help to give more context to what you can see. The location was all we had hoped for but Serge & Chantell made it extra special, we can't thank them enough. Nous avons passé 8 magnifiques journées chez Chantal et Serge. Très joli gîte aménagé avec goût dans un bâtiment ancien. Un très grand terrain boisé accessible pour les locataires. Tranquillité absolue......Tout près: Carnac et Locmariaquer pour leurs mégalithes, le joli village de St-Cado, Portivy et les très beaux sentiers de marche de la côte sauvage de la presqu’île de Quiberon. Port St-Goustan tout près d’Auray. Merci à Serge pour toutes ses suggestions de promenades. 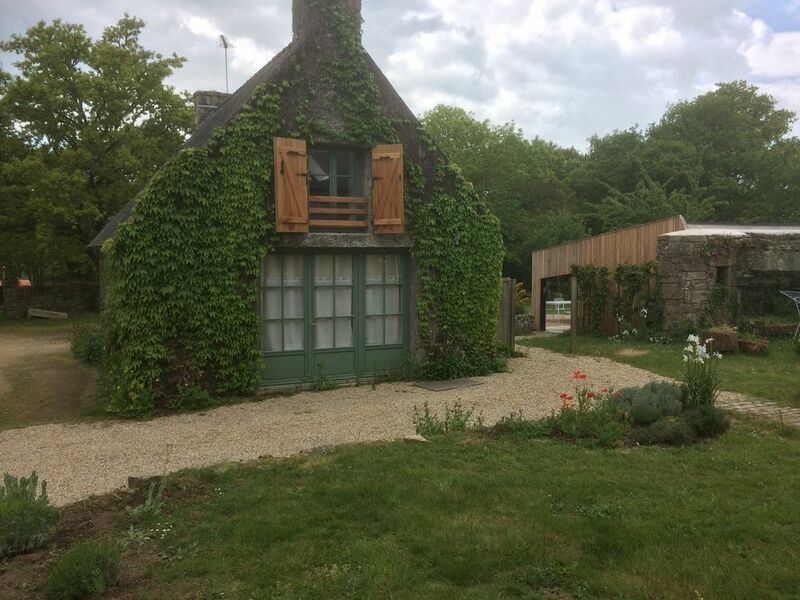 Nous sommes bien contents d’avoir choisi ce gîte pour notre séjour dans le Morbihan. Recommandation absolue sans aucune réserve . sehr gastfreundlich aufgenommen haben. Wir haben uns sehr wohlgefühlt und kommen gerne wieder. Joli petit gite, près d'une forêt. Très bien situé au centre de nombreux sites de randonnées. Le propriétaire vous donnera de nombreux conseils pour découvrir les meilleurs sites.